Manufacturing Solutions International, based in Portage, IN, works with Fortune 500 companies and entrepreneurs alike, to manufacture products in a wide array of Consumer Product Goods categories. Our team has extensive experience in bottle, carton and cup filling, premade pouch filling, candy and gum filling, over wrapping, thermoforming, and more. 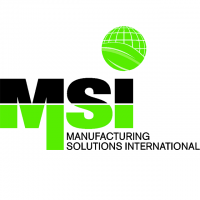 MSI routinely runs a wide array of production lines including liquid filling, powder filling, cartoning, VFFS, HFFS, bundle wrap, shrink sleeve, flow wrapping, and stick packaging. We also have full fabrication capabilities to build or re-tool machinery as customer requirements evolve. If it’s in a package, we can produce it!